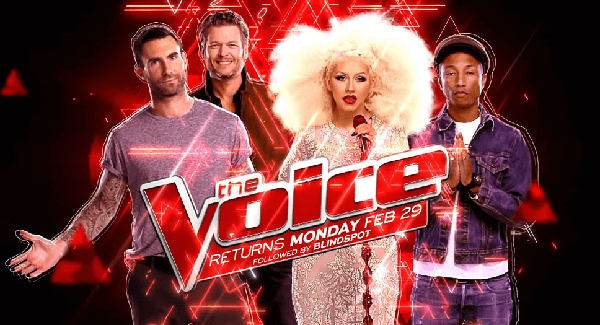 The Voice returns tonight with first Blind Audition episode for Season 10, Monday, February 29, 2016. The all new season of The Voice premieres tonight. Adam Levine, Blake Shelton, Pharrell Williams and Christina Aguilera return as coaches while Carson Daly will serve as host. Blind Auditions begins tonight! Keep locked on this page, The Voice Season 10 February 29, 2016 pilot episode recap and videos will be added below.